« A group of physicists from the Lebedev Physical Institute, Moscow State University MIPT and developed a new method to compare two RNA molecules. It was an unexpected consequence of the hypothesis of a statistical allocation mechanism employed by nature four-letter nucleotide alphabet. 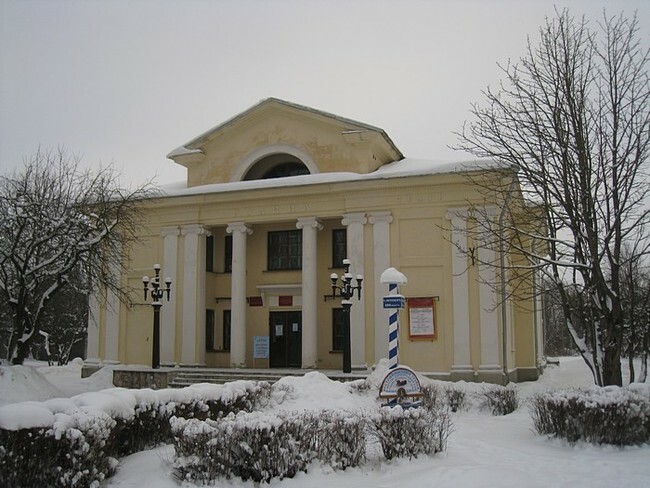 Porhov — a small and quiet town, located 75 kilometers east of Pskov on both banks of the river Shelon. The first mention of Porkhov to chronicle in 1239, when Prince Alexander (a year later — the Neva, and after two wins battle of Lake Peipus) built a wooden towns on the river Shelon. Fortified towns waterway from Novgorod and Pskov in Porhov was one of them. Polyakova manor considered the birthplace of the city. Playground is located on the right bank Shelon on a promontory at the confluence of the river Dubyanki. In ancient times, there was a wooden fortress, from which preserved ramparts and moats. In 1346, the wooden fort withstood the siege of Lithuanians, but the threat of war persisted. It was the 1387, Novgorod strengthened its already very high in the city. "Kopasha shaft near the Trade side. The same summer, bless the lord Alex entire city of Novgorod staviti Porhov stone "- so says the chronicle of replacing Porkhov wooden walls of stone. In 1428 Porhov again under attack by the Lithuanians. The siege lasted a week, but the fortress remained unconquered. By that time, appeared in time here the famous Lithuanian gun "Galka". "She was so big, that drove her to forty horses," — told eyewitnesses. Very much hoping for a miracle-cannon Lithuanians. First test the military instrument "in" has arrived and he built her German master. 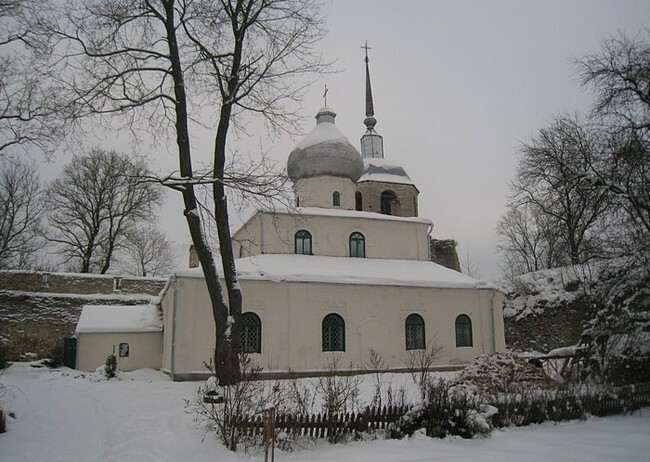 "Not only will break strelnitsa, but Nicola stone (it is the church of St. Nicholas inside the fortress — approx. Aut.) To hurt my city," — he boasted before the Lithuanians. There was a deafening explosion. The huge core, destroying strelnitsa at Nicholas Tower, hit the rebound into the wall of the church. The blow was so strong that the core, causing damage to the fortress, flew off and fell back into the ranks of the Lithuanians. In this case, the Lithuanian commander were killed, many soldiers and horses. And the explosion of the gun itself, according to the chronicler, was torn to pieces and produce her master. However, the forces were unequal: a small detachment of the defenders could not resist the large army of the enemy. No longer able to "sit", porhovichi entered into negotiations. Having accepted the ransom, Lithuanians lifted the siege. However, the danger of being attacked again did not disappear. 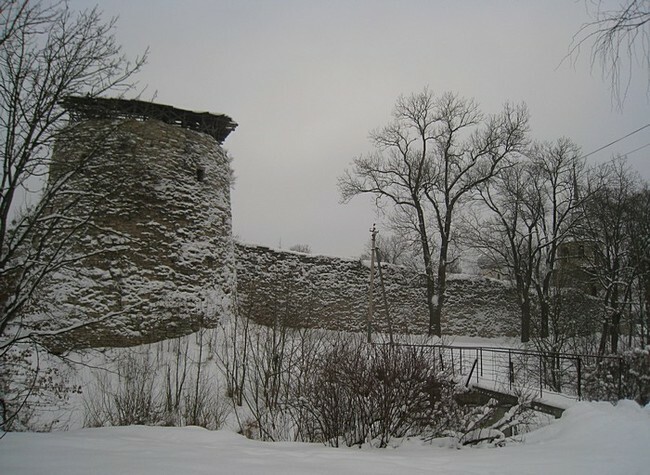 Therefore, along with the other fortresses, in 1430, strengthened and Porhov. "The same summer Novgorodtsev pestering Porkhov another wall stone." 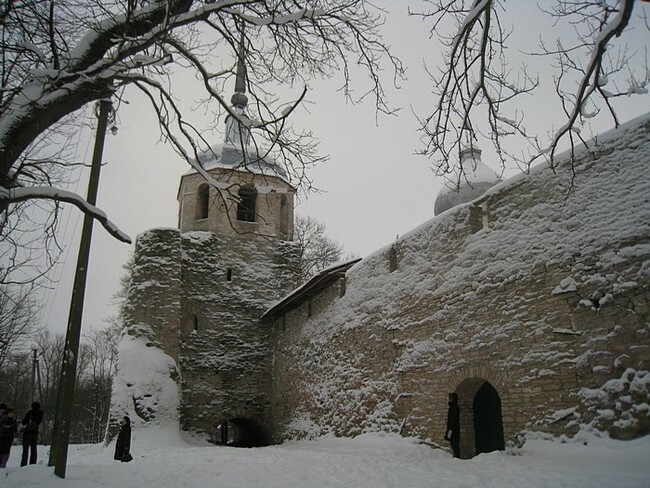 Since then the castle has not been besieged, and in view of the fact that after the annexation of Novgorod and Pskov to Moscow Porhov was not porubezhnye city and stronghold within the state. 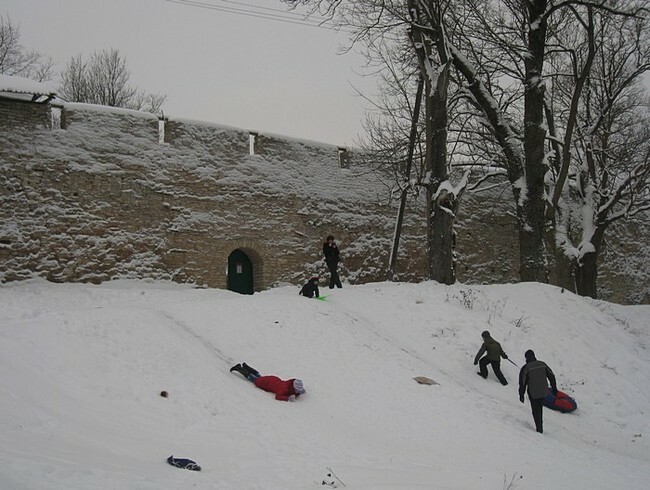 Because of this citadel Porkhov not reconstructed at the turn of the XV-XVI centuries, like many others in Russia and preserved to this day the way it was in the first half of the XV century. 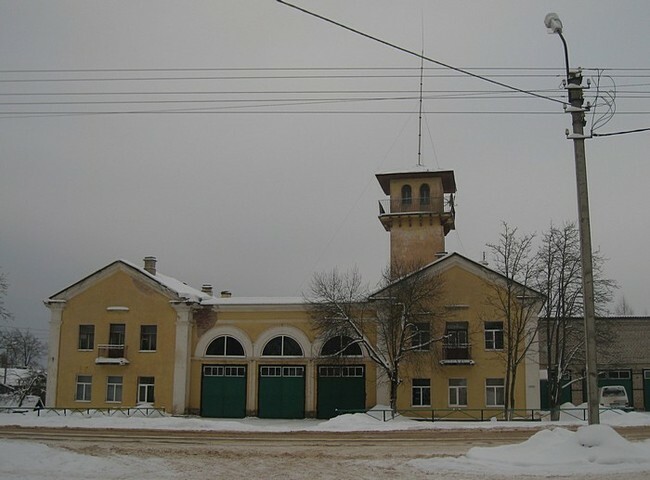 During the Great Patriotic War of 1941-1945 the city was occupied on July 11, 1941 to February 26, 1944 Nazi troops that have made a Porkhov concentration camp. 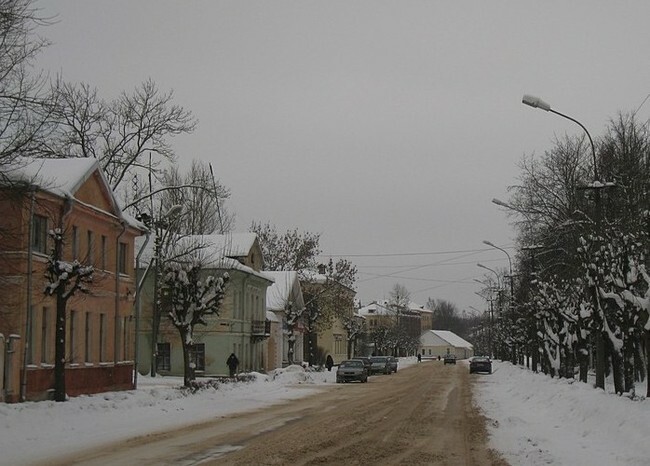 Before the retreat of German forces from Porkhov was blown over 90% of the buildings. After the restoration of the city largely lost its pre-war appearance. 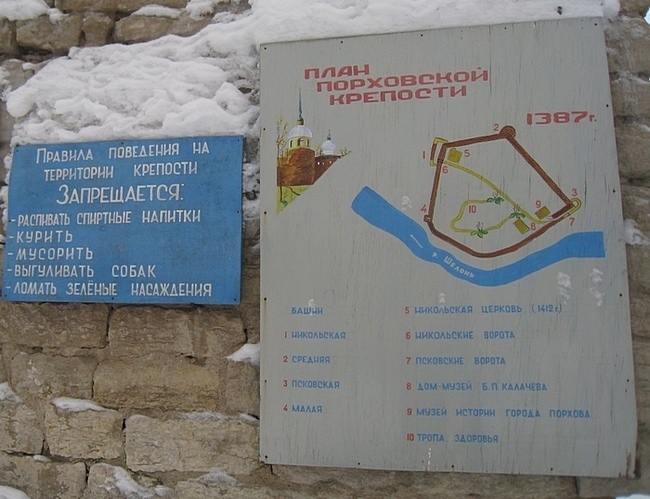 Of course, the main highlight of Porkhov is a stone fortress. It is located on a small hill on the left bank of the river Shelon. A place for the fortress was chosen taking into account the natural topography. Thus, the two sides of the fortress — the southern and south-west, are protected bend in the river, and the northern marshy lowlands, so the most convenient approaches to the fortress located in the eastern sector — from the north-east to south-east. Castle made of local limestone slabs, built in contrast to earlier citadels whole, rather than in stages. So sometimes received, especially if the castle was a small area. Given the presence of a well-protected natural areas, the towers were built just to the east — pristupnoy (the side on which possible attack) or floor (facing in the field) side. On other sections of the fortress, where the storm was less likely or even impossible, the towers were not so necessary. In general, the appearance of the towers, as part of the flank defense fortresses, and it was the middle of the XIV century, above all, must firearms and related to the need for increased defense. 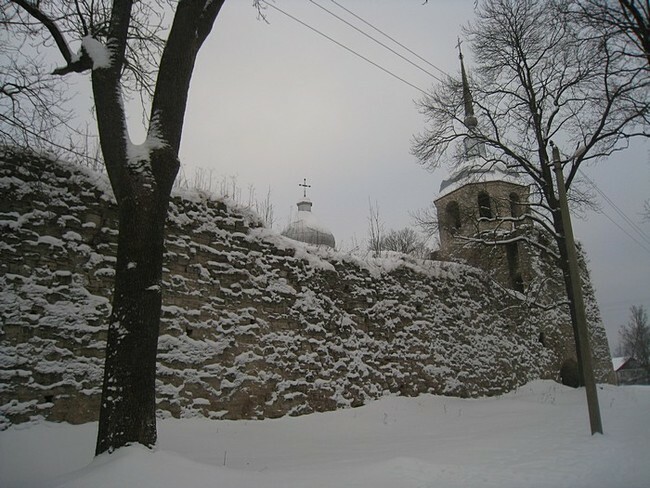 East, pristupnaya, the wall of the fortress was strengthened by three towers of St. Nicholas, Central and Pskov. Another tower — Small protects the northern side of the fortress. Earlier in the defense complex of two towers of St. Nicholas and the antithesis of the Pskov were included so-called Zahabi, who had about 30 meters long and 5.3 meters wide. Zahabi is a corridor formed by two parallel walls before (and sometimes after) or entrance arch doorways. This configuration allowed the enemy’s fire, erupting to the gate between two walls, on both sides, or even through the overlap, if any. The protective function of the device is not in doubt — the enemy is in a narrow, long enough stone "bag", pressed for maneuver and use of siege equipment, and is surprised at close range. Now see Dhahabi Porkhov fortress in their original form will not work. Part of their collapsed over the years, but to understand how their actions can be on the tower of St. Nicholas. Inside the fortress of the most notable building is the Church of St. Nicholas, built in 1412, but has since been rebuilt several times. 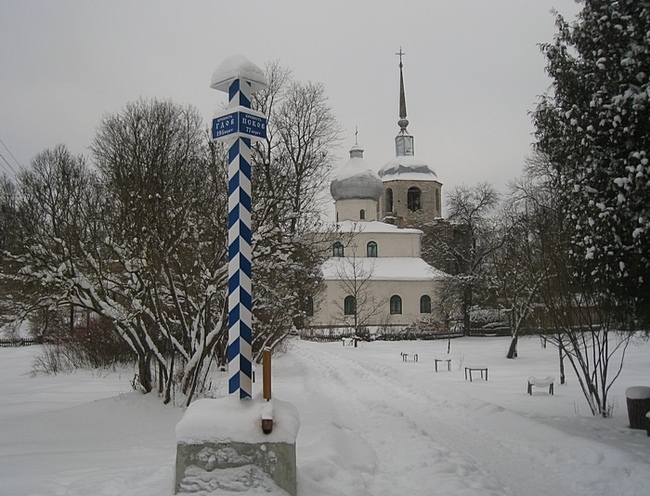 It is situated next to the tower of St. Nicholas, and gave the name means. Porhov — a nice little town. However, due to the pores of winter we could not climb the walls of the fortress and take a dip in Shelon. Perhaps we find ourselves in Porkhov summer, the city we would have liked even more. 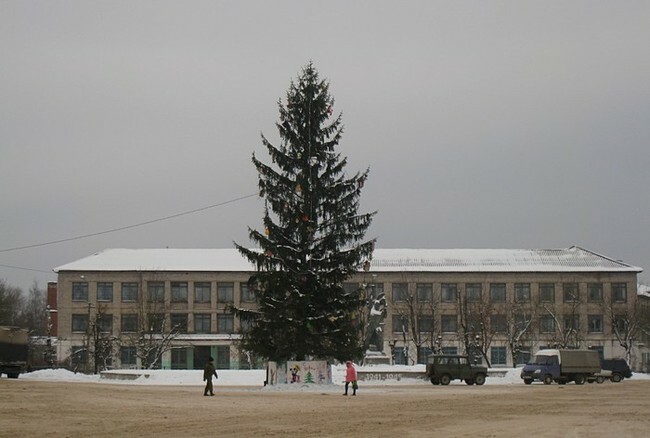 What is the New Year without a Christmas tree? Getting to Porhov from Moscow by car in two ways. 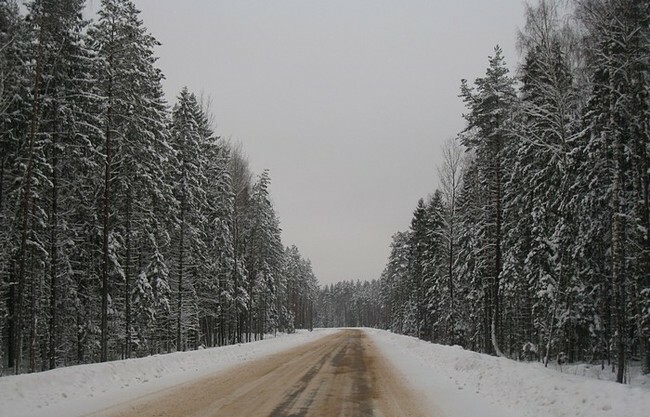 On the route via the M10 Novgorod or on the highway M9 through Pskov (a distance of about 650 km). In Porhov can come and a direct train Moscow — Pskov. Sleep — at a local hotel, but the better it will do in Pskov.